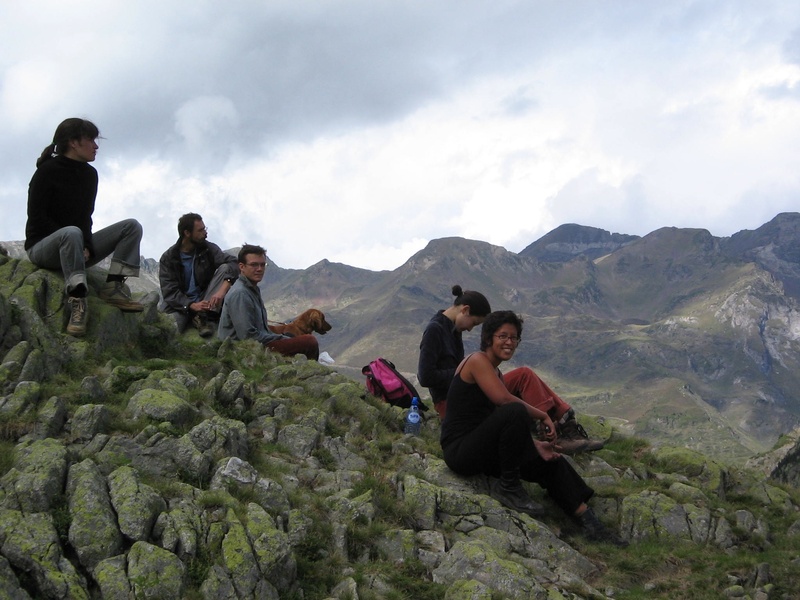 Me (far right) and some new friends I’d met in Toulouse the day before, taking a break from hiking the French Pyrenees. That’s what I love to do: explore the world, from my backyard and beyond, with and without my bike. And no matter how rough the road gets, I always try to remember to pause and just be. The Camino taught me that. Since walking The Way of St. James last May (from Astorga to Santiago), I’ve tried to hold onto the calm of walking day after day after day, crossing mountains, forging through forests, meandering through farmers’ fields and filling up with un vaso de leche frio in medieval villages, with few possessions on my back and many blisters on my feet (not to mention having an injured knee). On the Camino, I learned to be present in the moment and in tune with my surroundings – to enjoy life to the fullest (whether I’m on a trail or cosying up with a good book at home), one day at a time. Loving the ride. P.S. As a freelance editor, I spent 11 years working at a national decor magazine, so when I say I love the pretty, I’m not joking! But I lust after girly bike gear as much as I do colourful, flowery furnishings. Though if I had to decide between the Saarinen dining table I’ve been coveting for years and riding across Canada, I’d definitely pick riding. A girl’s gotta have some adventure! Always! hey, I love your blog and someone recently gave me the 7×7 link award, so I’m passing it on to you. I hope that is OK! That’s awesome! Thanks so much! “Fall Seven Times and Stand Up Eight”…inspiring, as life should be. Enjoy your blog too!